If you have our Don't Look At Me - Privacy Room Divider or our Don't Look At Me - Sleep Privacy Bed Rack, you'll need the right dorm privacy fabric to go with it. 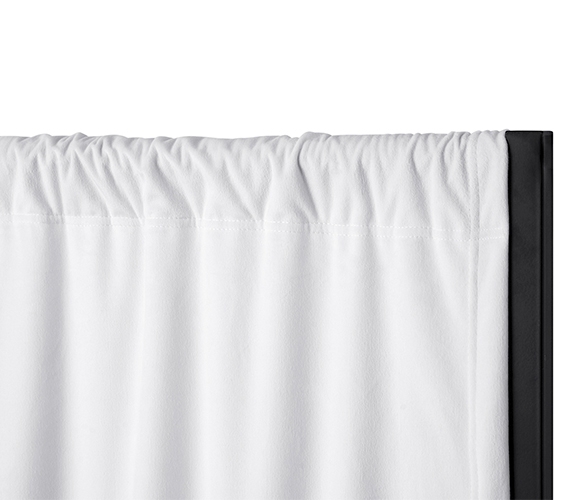 Our Privacy Room Divider Blackout Fabric - Blackout White (Fabric ONLY) is made to go with these essential dorm dividers. 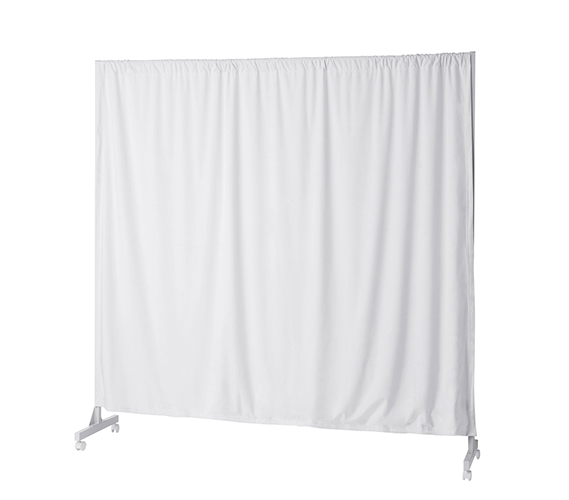 Constructed with a rod pocket at the top, this white dorm privacy fabric will slip over the top bar of our durable Don't Look At Me - Privacy Room Divider or our Don't Look At Me - Sleep Privacy Bed Rack. This allows this college fabric to hang down, providing you with privacy and the ability to move it out of the way if needed. And since this white dorm fabric is a Blackout privacy fabric, you'll get even more privacy when you add it to your metal Don't Look At Me college dividers. This white college privacy fabric will also go perfectly with your Twin XL bedding and dorm decor! White college supplies are easy to match, and will blend in with your dorm room. This white dorm fabric will help your Don't Look At Me - Privacy Room Divider or your Don't Look At Me - Sleep Privacy Bed Rack better match the rest of your college decor. With an easy to match look and a useful function, this Blackout White dorm privacy fabric is an essential part of your college supplies list!